Will the Conventions Move Florida or North Carolina? The parties keep placing their conventions in pivotal swing states, presumably because they improve the party’s chances there in November. But is there much evidence to support this conclusion? 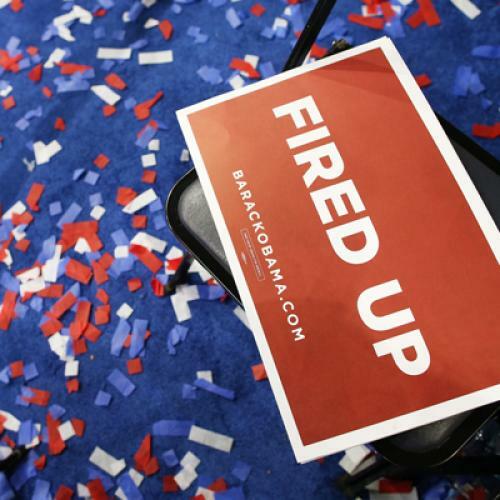 A quick look back at 2008 actually reveals that Minnesota shifted further right and Colorado shifted further left after the conventions than the country as a whole—and some, although not all, of that shift proved durable through November. But once you begin to question the numbers and the differences between the ’08 and ’12 convention cities, the seemingly clear case for a convention-host state bounce begins to breakdown. Over the two months prior to the DNC, Obama held an average lead of 3.3 percentage points in polls included in the RealClearPolitics average. In comparison, Obama held a slightly smaller lead in Colorado, where he led by 1.1 points, and an even larger lead in Minnesota, where he was up by 7.2 points. After the conventions, McCain opened up a slight lead in polls conducted prior to the onset of the financial crisis, leading by just 1.1 points nationally. That represented a 4.4 point shift from Obama’s 3.3 point advantage between July 1 and the conventions. But Obama didn’t suffer any losses in Colorado. In fact, he still held a modest lead in Colorado. In fact, he led by even more—2 point—after the RNC than he did prior to the DNC. That represents a 5.3 point shift to toward Obama compared to the rest of the country. There was a similar, although less pronounced, trend in Minnesota. Obama’s lead fell to just .7 points—a shift of 6.5 points in McCain’s direction, or 2.1 point larger shift in McCain’s direction. However, those gains weren’t entirely durable. While Colorado was 3.1 points more Democratic than the country after the DNC, compared to 1.2 points more Republican before hand, Colorado was just 1.7 points more Democrat on Election Day. Similarly, Minnesota started 3.9 points more Democratic, but ended 3 points more Democratic, or a shift of just .9 points toward McCain. Caveats. Many caveats. There were relatively few state polls (4) conducted in either state during the narrow post-convention, pre-financial crisis window. As a result, there’s a certain margin of error. Even a cursory glance at other states shows other shifts that don’t appear to be linked to the convention (Michigan). And the pro-McCain shift in Minnesota might instead correlate with McCain’s advertising strategy, which invested heavily in the state (perhaps due to the RNC?). Just for good measure, we’re just talking about one election year—conventions haven’t generally been held in competitive states with lots of polling, at least that I’m aware of. Even if it turned out that my caveats were overstated, would we expect a similar bounce in North Carolina or Florida? Maybe not. The Minneapolis and Denver media markets dominate Minnesota and Colorado, but Charlotte and Tampa are just one of many important metropolitan areas in their states. This is speculation, but while the convention probably gets tons of extra coverage in the host cities, I’m not so sure that the convention experience would be much different in Raleigh or Miami than Cleveland or Las Vegas. If that’s true, then the polls in North Carolina and Florida might not shift over the next few weeks, as Charlotte and Tampa just don’t dominate their states like Minneapolis or Denver. Given the 2008 numbers, it's possible that conventions produce a host-state bump, since the polling shifts in both Colorado and Minnesota were consistent with the host-convention bump hypothesis, even if they are far from sufficient to prove it. But there are plenty of reasons to doubt that Obama or Romney will benefit in North Carolina or Florida, especially since Charlotte and Tampa don't dominate their states like Denver and Minneapolis.